Start things off with the Vander Esch pick. I love the pick if the neck truly has 0 concerns. If there is even the slightest concern... well we already have our share of injury prone lb's. Edit- UD prease change this title to 2018. Cuz uh... I'm an idiot who is still living the dream of 2017 fantasy football. Last edited by Bryan_Wilson; 04-26-2018 at 09:32 PM. F injuries -- LVE and MPJ to Dallas this summer. He was the guy I wanted till the neck talk. But Mayock said best zone lb he's seen since Keuchly???? That's.... hella impressive if true. Get out of here with the Urlacher 2.0. I don't see it. I didn't say it Marinara did! Connor Williams... Romo never got this kind of love. Hope Zeke is ready to run! Last edited by Underdog; 04-27-2018 at 08:28 PM. Michael "Dez, Who?" 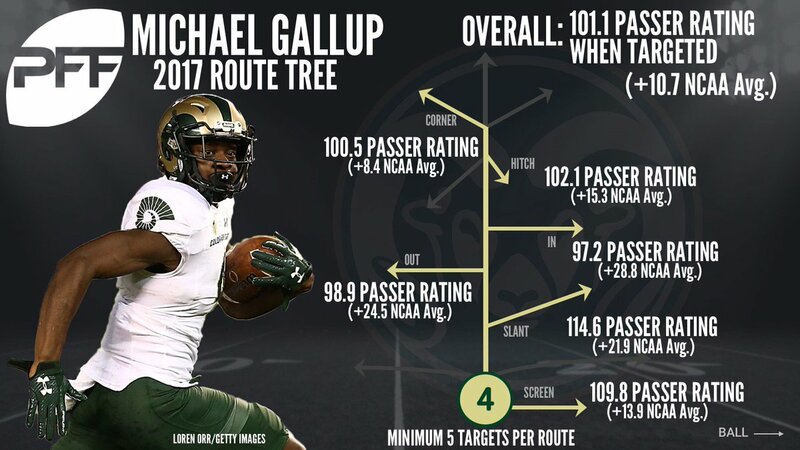 Gallup... Would have taken him a lot higher, glad to see he was still there. Last edited by Underdog; 04-27-2018 at 09:15 PM. I love pff. Their 5th rated wr in the 3rd? I'm sold. Said if he could have came out last year he would have been a top 10 pick. They still had him as a 1st rounder this year but an early season slump and injury pushed him down from where he was last year. I like the Armstrong pick, there's potential there... Schultz seems like a dud unless you just want your TE to block, but I picked up Gathers in our keeper league at the end of last season so this may be a godsend for my fantasy team. Yeah with both Hannah and Witten retiring looks like the Schultz kid is more Hanna's replacement than anything. Traded a 6 for Tavon Austin. Rapsheet said we view him as a rb not a slot wr. Seems like a nothing move. From Cowboys (if he in plays every game): $3 million. Last edited by Underdog; 04-28-2018 at 02:41 PM. 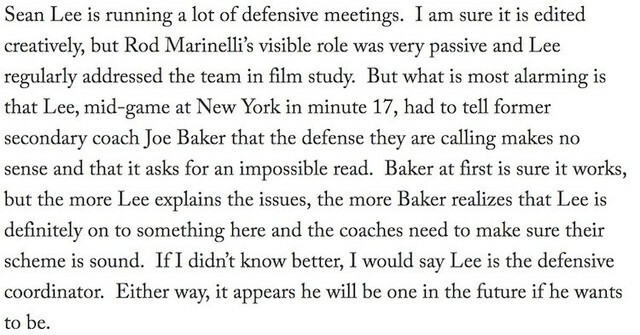 So, umm, Mike White? He's a pretty good QB -- nice backup, but also a guy who should keep some pressure on the starting spot, forcing Dak to improve or perish. I actually like this pick. I like it a lot. He's an actual pocket passer. And we still have Terrance Williams, Cole Beasley, and Noah Brown. And we still have Geoff Swaim and Rico Gathers. I'm still not quite sure how this is gonna work out. We lost a some aging, up-front talent for a slew of younger guys who will compete for the top spots. I mean, Cole Beasley is the oldest guy catching the rock at 29 years old, while most of our ball-catchers range from 22-24. I wouldn't be the least bit surprised if more than a few of these guys ended up getting cut... At least training camp and the preseason games will be interesting this year! Kinda odd that we took a (good) RB with our last pick... I'm actually surprised at how many offensive players we got in this draft, but judging by the guys we chose it looks like we're playing the long game -- our offense is deep and should be set up nicely for the next 3-5 years, even when we lose players to free agency. Not sure how our defense is going to fare, but we'll have plenty energy to focus on that with our offense set up the way it is... I like the shift in philosophy. Wow, we only have 3 players on our roster over 30 years old... One is our kicker, one is our deep snapper, and the other is Sean Lee, whose replacement we just drafted... Youth movement! Last edited by Underdog; 04-28-2018 at 06:42 PM. We still need a real 1 technique dt and a safety imo. If Jeff Heath is our starter then that's awful imo. I would love if we would bring Kenny Vaccaro in for a look. Too much talent for him to not get a look over heath. I'm sure there will be some decent players available when cuts roll around. One of just 2 teams to get "Elite" grade from PFF fwiw. And frankly it excites me that BSPN graded us the worst of the 3 places. Remember when we had a poor grade from BSPN for trading back and taking Fredbeard? Last edited by Bryan_Wilson; 04-30-2018 at 05:15 AM. Why stop at defensive coordinator? Please replace that idiot Jason. 8 days until training camp! Last edited by MFFL; 07-17-2018 at 05:39 PM. I'm pretty excited about our d-line. In fact I'm pretty excited about our defense in general. Last edited by Underdog; 07-17-2018 at 08:23 PM. I'm looking forward to this Cowboy season. Now if Garrett can avoid giving away a couple of games this year, I think the Cowboys will be in the playoffs. Just got off phone with Randy Gregory. He's ecstatic about returning. Has been working out w/ former Raiders DE Greg Townsend at Beverly Hills (CA) HS 3-4x/wk. Says he's been clean for more than year. "Not many people get 2nd, 3rd, 4th chances. I plan to take advantage of mine." Hope the kid has it together. Although some of it for him I do think is related to his bipolar disorder, but clearly became an addict. I remember watching him in college and his rookie season and he had one of the fastest get off's I've seen in recent memory as an edge rusher. I'm actually pretty confident in our wr's as a whole. The tight end position not so much. And Dak will have a lot to prove. The coaching staff as a whole I'm not in love with at all though. In fact if Garrett was the coach of any other team I doubt he'd still be employed. I'm cautiously optimistic, I've been fooled way too many times to get too excited. I'm super excited to see Jaylon though. I really hope he's physically as healthy as reported. He's such an infectiously positive kid, I want more guys like that and less guys like the ones suspended repeatedly. I'm actually pretty confident in our wr's as a whole. The tight end position not so much.